Fresh from touring with Trevor Noah's recent South African tour, Robby Collins brings his latest one-man comedy to Durban. Titled Son of Carol, it will take place at the Garden Court, Marine Parade, on September 29 and 30. Originally from Durban and now based on Johannesburg, Collins has established himself as one of the brightest lights on the comedy scene in South Africa. Hot off the heels of his stint as a warm-up act for Trevor Noah, Collins recently participated at the biggest comedy festival in the world, the Just For Laughs Comedy Festival where he also performed at a live recording of LOL (Laugh Out Loud) which was produced by famous comedian Kevin Hart. Son of Carol is described as a hilarious introspection of a young man finding his place in this world. 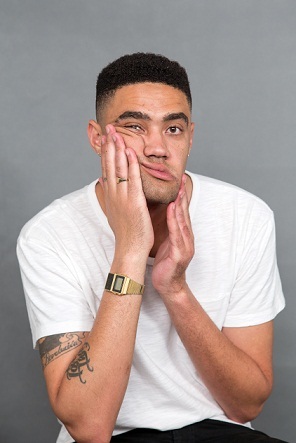 From suffering his first heartbreak at the hands of a taxi driver, to getting fit on a kids playground, Collins explores the crazy situations a young comic on South Africa’s colourful comedy scene finds himself in. Collins is one of the most original acts in South Africa today with material that his truly his own. Son of Carol stages on September 29 and 30 at the Garden Court Hotel, Marine Parade, Durban, with shows at 20h00. Tickets R150 booked through from Computicket.